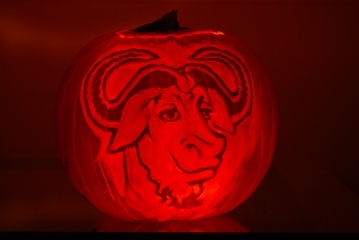 A really nice GNU o Lantern, carved by Lorena and photographed by Fidel. It is dedicated to RMS and the free software community. This work is available under the GNU General Public License, version 3 or any later version.